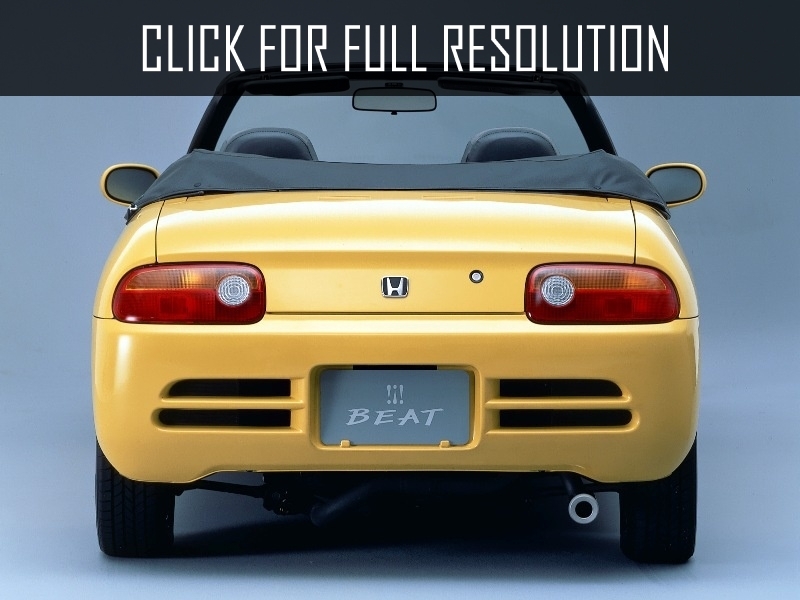 Honda Beat is a small two-seat convertible sports car with mid engine. 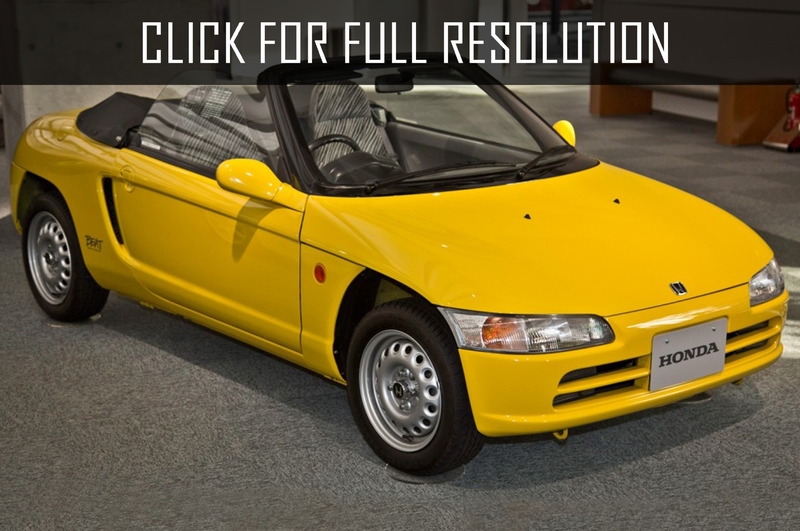 This model was produced by Japanese company Honda Motor Company in the period from May 1991 to February 1996. 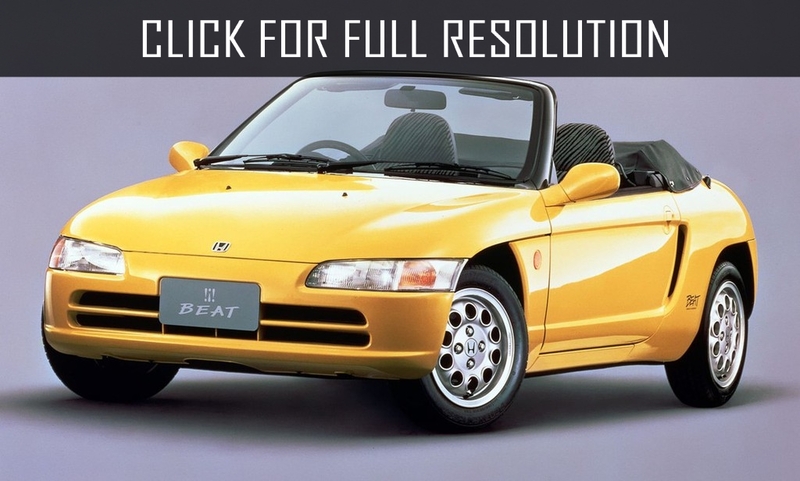 The total number of Honda Beat copies is approximately 33 000 and about 66% of them were sold in the first year and the sales declined steadily the following year. 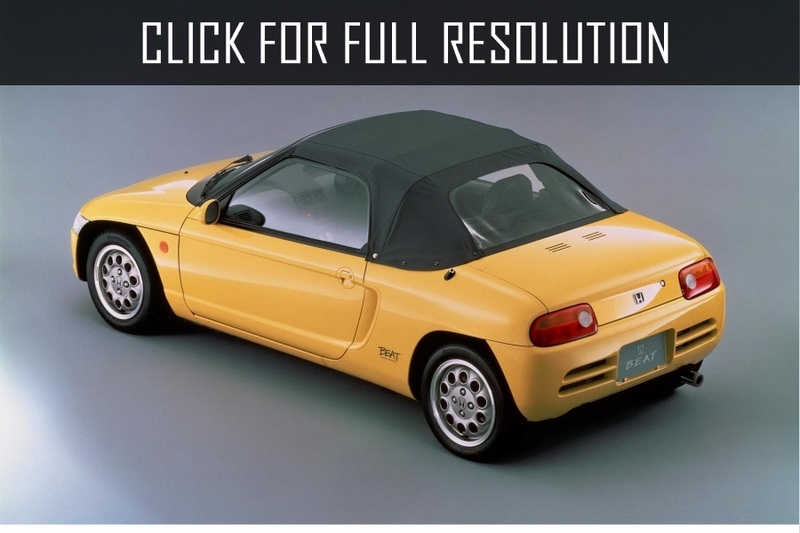 The wheelbase of Honda Beat was 2280 mm, body length - 3295 mm, width - 1395 mm, height - 1175 mm. 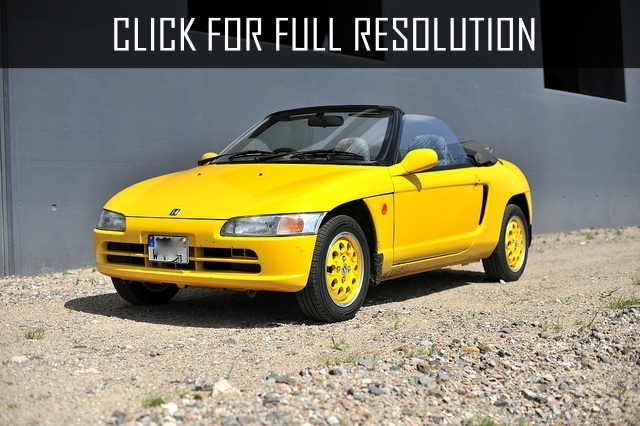 The main competitors of Honda Beat were Suzuki Cappuccino and Mazda Autozam AZ-1. 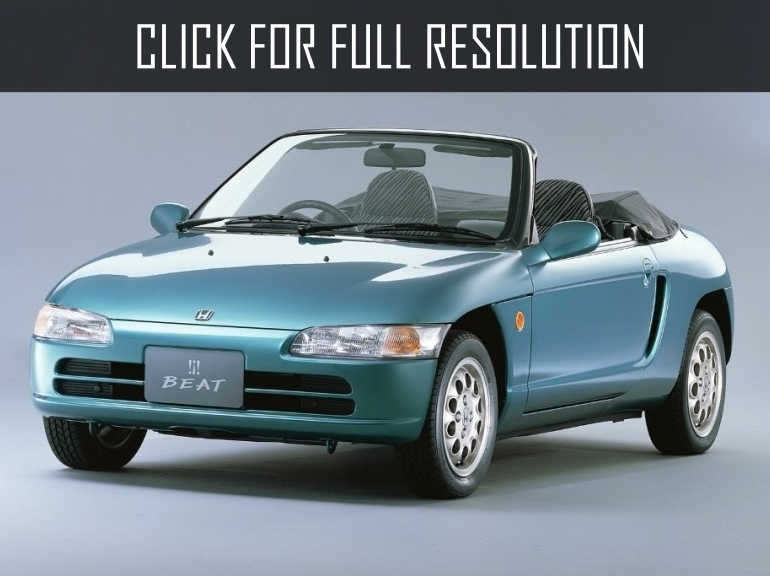 The complete set of Honda Beat 12-valve 3-cylinder atmospheric engine SOHC I3 E07A whose total volume is 656 cubic cm and motor capacity is 64 HP at 8100 rpm, which at that time was the highest among small compact cars. This motor was powered by engine management system MTREC (Multi Throttle Responsive Engine Control). 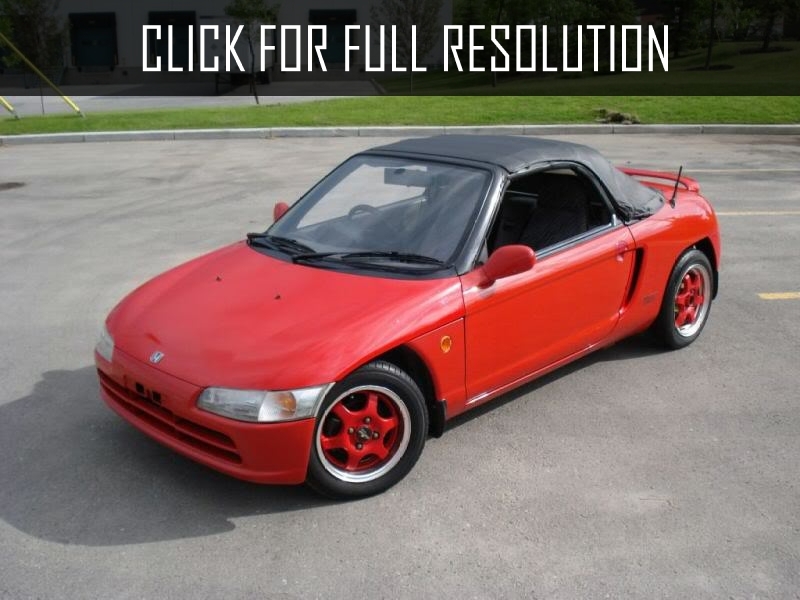 Regarding to transmission, Honda offered only one option - 5-speed manual gearbox. 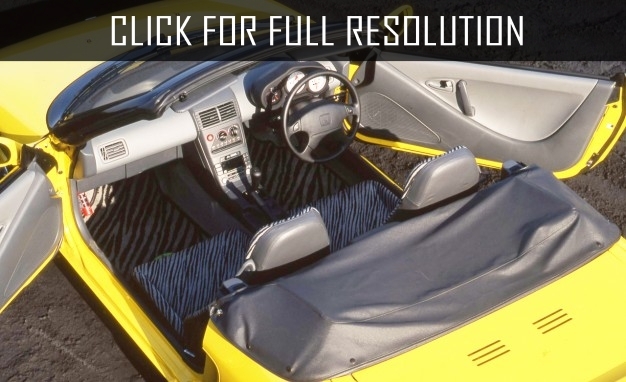 The cabin is quite comfortable and for more comfort, Honda Beat was equipped with air conditioning and power windows. 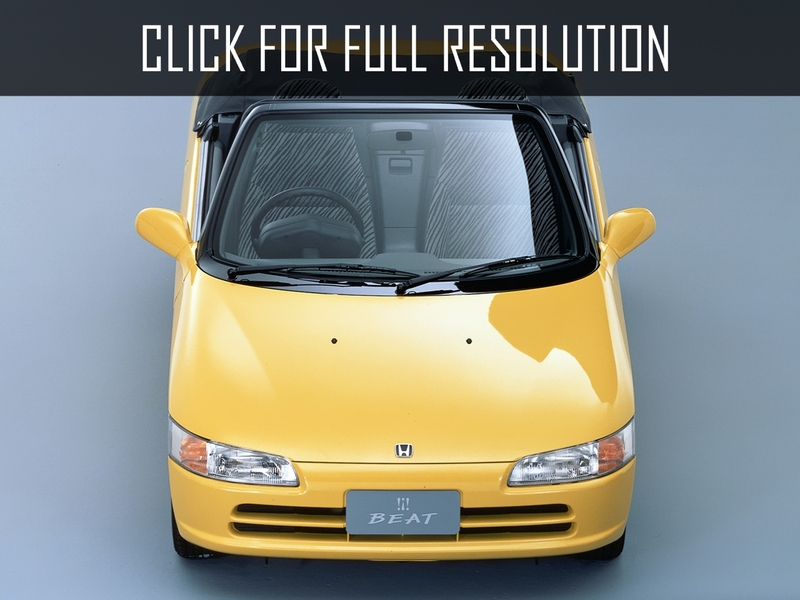 Also, Honda Beat offered the following options: driver's side airbags, mud flaps, the interior lighting for passengers, stereo system, shelf for luggage, NET luggage, chrome fuel tank cover, stainless steel exhaust tube, rear spoiler with integrated additional stop signal, and leather racing steering wheel by Momo Company.